It’s just about time for us to start compiling Wishlists for NBA Live 16 and NBA 2K16. While both developments teams obviously have their own roadmaps, it’s important for us to make our voices heard, and let the developers know just how closely their vision gels with our desires and expectations. To that end, it’s important that our feedback be both detailed and constructive. I was originally going to post my predictions for the 2015 All-Star Weekend in this week’s Friday Five, but Arcane and I ended up discussing our picks in Episode #109 of the NLSC Podcast. So, rather than repeat myself in written form, I’ll simply invite you to go back and listen to the show if you’re interested in my predictions, and talk about something else related to All-Star Weekend. I’ve instead decided to list five memorable moments from All-Star Weekends gone by. It’s not a Top 5 countdown of the greatest or most well-known moments, nor a list of my absolute favourite moments, as those would probably all be Michael Jordan related. MJ does feature a couple of times in this list – you knew he would – but I’m also picking a couple of other moments that stand out in my memory, and not all of them are highlight plays. Without any further ado, here are five memorable All-Star Weekend moments, that you may or may not recall. I was out of town when this was scheduled to post last week, so I'm a little late in posting it here in the Forum. Nevertheless, here is last week's Friday Five, for those who may have missed it. I’m back with a new Five this week after taking a break last Friday, the result of an impromptu weekend getaway with friends (and a lack of time to have a column ready earlier in the week). Thanks again to everyone who offered up suggestions for future articles, I’ve made a note of them and will see what I can do with those topics! As it happens, one of KevinParker13’s suggestions was actually something that was on top of my list for last week’s column before I decided to skip it: my thoughts on Derrick Rose’s latest injury. Truth be told, I’m kind of glad that I pushed this topic forward a week, as news broke following Rose’s surgery that not only offered more perspective, but also optimism. The latest procedure is not expected to put Rose on the shelf until next season, with the current prognosis projecting a return in time for the Playoffs. Nevertheless, Rose is out of action for the moment – as is Jimmy Butler – and there are still questions to ponder regarding his injury woes, and his future. Another Friday the 13th is upon us, and since I’ve already covered unlucky moments in a previous Friday Five, this time I thought I’d mark the occasion by listing my five favourite NBA players who have worn number thirteen. I’m sure a couple of those players will come as no surprise for anyone who knows my nationality and favourite NBA team, but a couple of my other picks may be somewhat unexpected. Despite its reputation as an unlucky number in Western superstition, a total of 169 NBA players have worn the number thirteen jersey. Four of those players have been inducted into the Basketball Hall of Fame, including of course the great Wilt Chamberlain. Without any further ado, here are my five favourite NBA players to have worn number thirteen. As I’ve already mentioned, we’re looking to finalise our Wishlist for NBA Live 16 as soon as possible, in order to submit it to the development team at EA Tiburon along with the community’s Top 15-20 suggestions for the game. If you haven’t added your feedback yet, by all means do so whenever you have a free moment. Once again, the developers are keeping tabs on the Forum, and we do have a direct line of communication to them, so our feedback isn’t just disappearing into the proverbial void. It’s that time of the year again! The 2015 regular season is in the books, and the NBA Playoffs are tipping off in just a couple of days. A few of the seeds weren’t decided until the very last day of the season, and with the West in particular being very competitive once again this year, we should be in for an exciting first round. Since I have NBA League Pass Broadband, I’m looking forward to catching as much of the action as I can. Now, if you’re a regular listener of the NLSC Podcast, you’ll know that my NBA predictions don’t always turn out so well. However, perhaps I’ll have better luck with a few that I put out in written format, as opposed to audio. 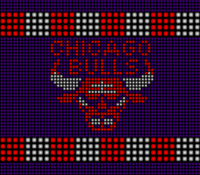 To avoid going down as the jinx – again – I will refrain from making any specific predictions about the Chicago Bulls, aside from the one I’ve already made in the Forum. However, I do have a few other predictions to throw out there, while we wait for the postseason to tip off. As you may have seen from my bulletin a couple of days ago, I’ve been without power most of this week, thanks to the storms that recently hit the southeast coast of Australia. Fortunately, I’m a lot better off than some other folks in my area: I finally got power on yesterday, though I’m still waiting for the landline phone and broadband to get reconnected. I can get my PC online by tethering my smartphone however, so I’ve been able to catch up on everything, and bring you a new Friday Five. So, what have I decided to talk about this week? Well, since I covered my five hopes for NBA Live 16 a couple of weeks ago, why not discuss my five hopes for NBA 2K16? NBA 2K being where it’s at right now, I don’t have too much to say about gameplay, or modes like MyLEAGUE and MyGM. It’s mostly tweaks, adjustments, AI fixes, and minor additions, as I believe the product is already very solid in those areas. Having said that, there’s still a handful of noteworthy changes and additions that I’m hoping to see in this year’s offering from Visual Concepts. Around this time each year, we generally start speculating about the cover players for the next edition of NBA Live and NBA 2K. Last week, a report from Polygon gave us something to think about, as leaked images have fuelled rumours that NBA 2K16 will feature three different cover players – James Harden, Stephen Curry, and Kevin Durant – as well as involvement from filmmaker Spike Lee, presumably in this year’s MyCAREER mode. As of writing however, no official announcement has been made. Although the cover is ultimately inconsequential as far as the quality of a basketball video game is concerned, it remains a popular talking point, so I thought I’d write a Friday Five or two about previous cover players. I’ve been thinking about some of the best and worst cover players, and have some lists to post in the not too distant future, but I’ve also been thinking about superstitions and supposed “cursed” cover players. Basketball players have generally fared better than NFL players who have graced the cover of Madden, but misfortune has befallen some players who have appeared on the covers of various hoops titles. Here are five such players that come to mind. In last week's Friday Five, I talked about five players who suffered from the proverbial "cover curse" after gracing the covers of various basketball video games. It was definitely a fun topic to talk about, and I was reminded of one or two other "cursed" players in the comments section. If you can think of any other players who were hit by misfortune after appearing on the cover of a basketball game, be sure to check out last week's article, and let me know. I'm looking on the bright side this week, as I'm offering up a list of who I believe to be the best basketball video game cover players that we've had so far. I've made these picks according to a few factors: magnitude of stardom, their level of success around the time they appeared on the cover, and yes, there's some personal bias in there as well. So, without any further ado, I present my choices for the five best basketball video game cover players! The old saying suggests that you should save the best for last (as does a popular song by Vanessa Williams). In that respect, I’m actually working backwards with this series of Friday Five articles on basketball video game cover players; I’ve already covered the “cursed” cover players, followed by the best cover players, so this week, I’m listing my picks for the five worst basketball video game cover players that we’ve seen so far. Now, keep in mind that this is all subjective, personal bias is certainly a factor, and when I say “worst”, it’s in comparison to other cover players. Outside of vandalised entries on Wikipedia, we’ve yet to see any benchwarmers join the list of players who have graced the covers of basketball video games. Having said that, let’s get to my list of the five worst basketball video game cover players! So, here we are at the 2015 NBA Conference Finals. The Golden State Warriors have just gone up 2-0 on the Houston Rockets, the Cleveland Cavaliers will look to go up 2-0 on the Atlanta Hawks today, and most people seem to be expecting to see the Warriors take on the Cavs in the NBA Finals. This year’s NBA Playoffs haven’t been without controversy or criticism – when are they ever? – but on the whole, I feel it’s been a fairly entertaining postseason. Since we’re down to the final four and inching closer and closer to finding out who will be the 2015 NBA Champions, I thought I’d take a look back at the predictions I made in The Friday Five at the beginning of the Playoffs, and see how I fared. Getting predictions wrong has become something of a running gag for us on the NLSC Podcast, but did I do a better job in written format? Read on to join me in revisiting my 2015 NBA Playoffs predictions! And then, there were two. After a rather uncompetitive Eastern Conference Finals, and a Western Conference Finals series that was only marginally more exciting and hard-fought, LeBron James and the Cleveland Cavaliers will take on Stephen Curry and the Golden State Warriors in the 2015 NBA Finals. The stage has been set for a fun and exciting championship series between an all-time great who has returned home, and a rising star who has led his team to their best season in decades. As it stands, we have a little under a week to speculate, make our predictions, and consider all of the questions surrounding the 2015 NBA Finals. Who will win? Will the Warriors run out of steam? How banged up are the Cavaliers? Can LeBron do it by himself? What are some of the other interesting subplots this year? Like every other NBA fan, I have a few thoughts on the matter, which I’m sharing with you in this week’s edition of The Friday Five. Without any further ado, here are five thoughts ahead of the 2015 NBA Finals. As you may have noticed, there’s been a ton of NBA Live 16 news this week, owing to the game’s presence at E3 2015. Unlike the past couple of years, the development team have really been pushing out details, screenshots, and even videos of NBA Live 16 throughout E3, which definitely speaks volumes about their confidence in this year’s release. For this week’s Friday Five, I’m going to talk about what I feel are the five best things about NBA Live 16 to come out of E3 2015. If you’ve listened to Episode #121 of the NLSC Podcast, you’re probably aware that I’m feeling excited and optimistic about NBA Live 16 in the wake of our first glimpse of the game, as well as all the juicy tidbits that we’ve learned so far. If you need to get up to speed, then I encourage you to check out all of the latest NBA Live 16 news here. With that said, let’s get down to the five things that have me feeling optimistic about NBA Live 16. As I’ve mentioned in recent episodes of the NLSC Podcast and in last week’s Friday Five, I’ve been spending a lot of time with Ultimate Team in NBA Live 15. Although I’m traditionally more interested in modes like Dynasty, Ultimate Team definitely piqued my interest last year, and this year I’ve been hooked on building my team and playing through various Fantasy Challenges. As I also said last week, while I’m hoping to play a lot of Dynasty in NBA Live 16, I expect that I’ll continue to spend a lot of time with Ultimate Team, too. In the meantime, Ultimate Team has definitely become my mode of choice in NBA Live 15. To that end, there are a few goals that I’ve set for myself as I continue to play the game up until the release of NBA Live 16 in September. I’ve managed to achieve a couple of them during this past week, but a couple of others…well, I still have a ways to go. For your reading pleasure this Friday, I present five goals that I’ve had for Ultimate Team in NBA Live 15. If you’re relatively new to basketball video games, or at least the basketball gaming community, you may not have much of an idea of how things used to be when it came to previews and interactions with the developers. With all the tidbits on social media, developer blogs, in-depth interviews here at the NLSC and around the web, live streams, and so on these days, we get to learn a lot about the upcoming editions of NBA Live and NBA 2K before they come out. This allows us to be well-informed, and in turn, savvy consumers. Of course, the downside of such in-depth coverage is that some of the mystery is taken out of basketball gaming. That’s not necessarily a bad thing – with games coming out every year, we want to know whether the latest iteration is worth spending money on – but it also means that we don’t often get to be surprised by something really cool in basketball video games. Every so often though, EA Sports or 2K Sports will announce something that catches us off guard, and that’s what I’m talking about today: five times that I was surprised by basketball video games. Let’s get to the Five!